Today a group from Alizee America hosted their second chat party. An Alizee video is viewed in the comfort of your own home while having a live online chat about the video while it is playing. I think it is absolutely terrific. Sharing thoughts, comments and information with other like minded individuals. There are a lot of keys to making this work but the final wild card is chat etiquette. The entire group seems to understand this point and they make it work and flow with ease. If you are a newbie or shy that is no problem. The courtesy of the group allows everyone to participate or can just listen. It's fun to listen to comments from participants that were actually at some of these events. I recommend this to anyone. Alizee can be proud of this fan group. I had mentioned the Coachella Festival in previous post and here is a follow up. The line up for this years 'fest' has just been released. No, sadly there is no Alizee. It is a three day event April 17, 18 and 19. I counted 78 booked acts. Paul McCartney is the biggest name and playing on day one. Day two has Amy Winehouse and a group Alizee liked, The Killers. Day three has The Cure. Alizee photos by J. Jacotey. 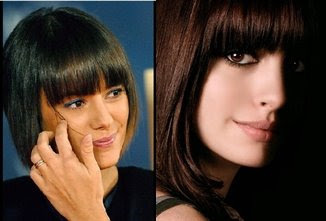 Bottom left is Alizee and Nolwenn Leroy. You should catch Nolwenn's voice here. And we North American fans are Romeo. I found myself being caught up in Alizee (again). 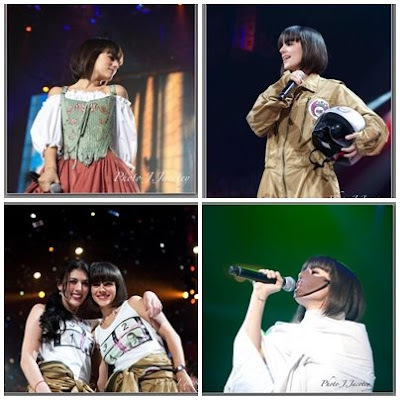 With new pictures and videos from Les Enfoires showing up, the Alizee America online live review of En Concert and another in the making I get caught up thinking about Alizee and her career way too much. 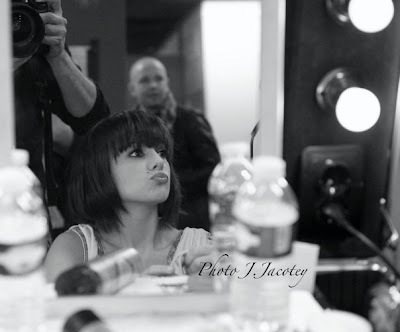 I also started to review the instant-mag2 interview again...then I found the same thing going on at Alizee America. Interesting. As 'Roman' put it "One just wishes she had the energy and stamina to push hard without becoming unbalanced and miserable". At times we resemble those 'sports parents'. The ones that push their children into the sport, act unreasonable on the side lines and care more about the outcome then the children. The parents see the next Michael Jordon...if they would only work harder at it. Please let us not become that for Alizee. 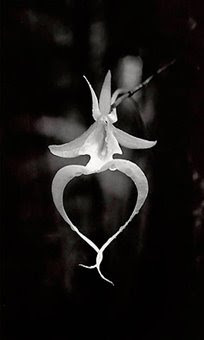 Alizee is our Ghost Orchid flower. Not to be removed or cultivated but to be admired and adored. 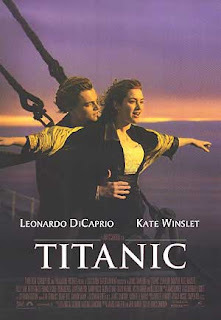 Alizee's career is like watching the movie Titanic. Kate Winslet's character makes all the wrong decisions regarding the business of her life but follows her heart like Alizee...marriage, a child, tattoos, time off, going off on her own... Yes it is a chick flick and we guys just shake our collective heads. For us it is a matter of accepting and not understanding. So, before I start to get wrapped up into what Alizee is going to do next, take a deep breath and back away from the computer. 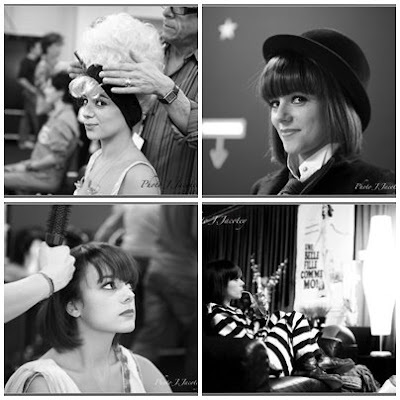 Just relax and enjoy the only way one can capture Alizee, through the latest pics at Les Enfoires. I thought they deserved some attention in return. If anyone is going to Les Enfoires and takes a pic of Alizee and has no where to post it, I will with what ever credit you want. Just use my contact and give it a try. Fun stuff, glad to see some photos put together and why not hear Alizee while looking. 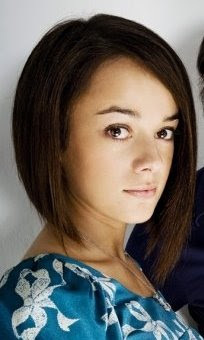 Sometimes I feel we (I said we) Alizee fans are like a pack of wolves. When food is scarce we hunt all over the place and can even get a little...irritable about it. When the food is plenty it is a wonderful thing. The blonde picture reminded me of part of the FHM interview...regarding her marriage Las Vegas. "Was the official [at the wedding] dressed as Elvis? No. (Laughs) But it was suggested that I dress as Marilyn . . . I assure you, I did no such thing." I was. Les Enfoires is just too much fun. Sitting down tonight to see what it going on in the world and I take a look at the blog and...what is going on? France is hitting the blog hard. A quick look shows 19 out of the last 40 are from France. Taking a look at the map show 48% of the visitors are coming from France. Les Enfoires or not I did not expect it. It is only appropriate with President Obama now sworn in and today Hillary Clinton took charge of the State Department on Thursday, proclaiming the start of a new era of robust U.S. diplomacy to tackle the world's crises and improve America's standing abroad. They do their part...and I will do my part. It is a constant subject of North American forums. What does it take? We just watched Yelle hit the North America with a concert tour. Not bad. And then there is BoA. BoA is from Korea, she has had #1 hits there and then took on Japan and did the same there. Now she is taking on the United States. First she moved to Los Angeles. Then she released the "Eat You Up" single in November 2008. She has been performing in Los Angeles and New York going coast to coast. You can check out a previous post on BoA. and a free lance one the cracks me up, a Polish website about a Korean singer taking on America. Only on the net. So she is pushing one song right now, moved to America, jumping coast to coast and most important, a real internet presence. 3 months after the release of the single..."Eat You Up" hit #12 on Billboards 'Hot Dance Club Play'. What was the most important aspect of this blitz on America? The artist, the song, the live concerts, moving to Los Angeles, the promotions. The internet ties it all together. It is the source of information. One item can not live with out the other but the internet presence has to be strong. Learn from President Obama, he had the best internet presence out of everyone he ran against. So, can you see Alizee doing all that BoA did to get to #12? Could she get there by only releasing her music to America and not doing the rest? I only bring this up and make these comparisons so we may have realistic goals and expectations. What can we do? You may say we do not or should not have to do anything. True, but as a marketing experiment, what could you do? What can a fan do to make the Artist more popular without the help of the Artist? Now that is the million dollar question. That my friends is the challenge, and on a shoe string budget. 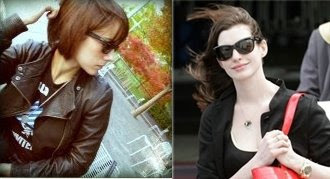 A challenge to me, to you, to Alizee America, to Lily Town USA, to my SkyRock friends. In the book "The Tipping Point" it discusses how epidemics or fads start. How did the shoes Hush Puppies go from nearly dead and out of business in 1995 at 430,000 pair to 4 times that many the following year? It became a fad, people started wearing them because no one else would. It is the little things that make a difference, nothing the Hush Puppy company did. Who is my favorite artist? 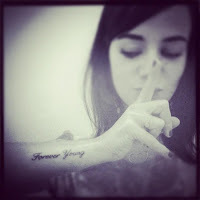 Alizee...no matter what. Alizee America did a fan commentary of the En Concert DVD. It is available via podcast. I listened to the entire broadcast and was impressed. First it is extremely difficult to not have everyone talk over each other, well done everyone. Second, the knowledge and information everyone has is impressive. It is fun to hear what others like and notice. For example Alizee's interaction with band members, I never gave it a second thought, the group mentioned it several times. That is only one little example, jump in and check it out. What, you do not have the DVD. That's OK, I set up a page so that you can click on each song and follow along. Click here. I put them in order to make it easier to follow along. Kudos to the entire group. Ruroshen will be running another Jan. 31. The rare Ghost Orchid. One was found growing on an old cypress tree at Audubon’s Corkscrew Swamp Sanctuary in Florida in 2007. This type of flower is very rare, and it is in bloom for the second consecutive summer. Flower enthusiast will take off at the drop of a hat to see the rare bloom. From paradisecoast.com "Ghost orchids typically only produce one blossom per plant, per year" "Special security measures are in place at Corkscrew Swamp Sanctuary to protect the precious plant" "Visitation to Corkscrew Swamp Sanctuary increased by 200 percent during the first bloom in July, with orchid lovers coming from across the country"
Cultivation outside of its native environment has proven exceptionally difficult. This flower is the basis for the book "The Orchid Thief" and in turn inspired the movie "Adaptation". All for the passion of one rare flower. How can I not post this tee shirt pic from another skyblog. Yes, I am a pimp for skyblogs for Alizee. Here is a new skyblog. A 2009 version. Alizee fans have done it again. This past weekend a group of fans got together online for what appears to have been a great time. The event was the brainchild Ruroshen starting from an Alizee America forum. Comments are very positive for the event. What impresses me the most was the incorporation of all the fans involved. Fans without the DVD, fans without mics all still enjoyed being involved and commented on how much they enjoyed it. This should encourage even more participation for future events, even to just have fun listening in. 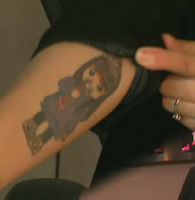 Being an Alizee fan is something like a hobby, similar to coin or stamp collecting. To find that rare coin, the story behind it, your story in getting into the hobby and then finding it, it becomes great story lines between collectors. Non collectors...well they just don't get it. Thanks again to the blog French Word Of The Day. Polly Platt was an American Author who lived in Paris. She was known for her books, "French or Foe", "Savoir Flair" and "Love a la francaise". Through her humorous writings she has attempted to teach us how to understand French Culture. I can't help but think we can all learn to understand Alizee more through Polly's books. Everyday I see posts on how you do not understand Alizee and what you want from her and how incredibly frustrated you are and in turn those comments maybe interpreted as incredibly rude. Not because anyone is trying to be rude but due to cultural differences. It is unfortunate that it took Polly's recent passing to inspire a post. We should all remember when we question Alizee's career. Dan Browns book "The Da Vinci Code" discusses Da Vinci's painting "The Last Supper" and the purpose of all the leaning and angles and the interpretation of the meaning of the Holy Grail. Opening up my email today it was nice to get this note on Alizee from our friends at http://psychalizee.net. I will post the French and use Google translator for English. There is a new word to have fun with..."Alizéen" and "very Alizéen" at that. Come on, someone else use it in a sentence. Toute l'équipe de Psychalizee.net vous souhaite une bonne et heureuse année 2009 !. Que cette année 2009 soit très Alizéen pour nous tous, il n'y a pas de raison pour que ce soit le contraire. Alizée sera au Palais Omnisport de Paris-Bercy pour les 6 grands concerts des "Enfoirés font leurs Cinéma" du 21 au 26 Janvier (complet). Alizée chante également avec quelques enfoirés dans le single "Ici les Enfoirés" disponible sur toutes les plateformes de téléchargement légal dès le 19 Janvier, en effet le titre va subir quelques petits changements ;-). Ensuite, nous savons que des nouveaux titres arrivent pour le Printemps ^^ et n'oublier surtout pas que le 28 Mars Alizée sera au Grand rex ;-) ! Merci de votre fidélité et encore Bonne année! Any team Psychalizee.net wish you a Happy New Year 2009!. This year 2009 is very Alizéen for all of us, there is no reason whatsoever to the contrary. Alizée will be at the Palais Omnisports de Paris-Bercy for 6 major concerts "are their Enfoirés Cinema" from 21 to 26 January (full). 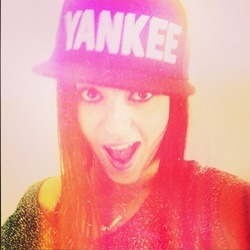 Alizée also sings with some bastards in the single "Here Enfoirés available on all platforms for legal downloading on 19 January, in fact the title will undergo some small changes ;-). Then we know that new titles arrive for Spring ^ ^ and especially not forget that March 28 will be at Grand Alizée rex ;-)! Thank you for your loyalty and again Happy New Year! Since the majority of visitors are from Europe it would be great if any of you want to share your thoughts. Eurovision is just so fascinating. The 2009 battle has begun. It will be held in May in Moscow this year. There is a song out of Spain by Yulia Valentayn called "Uh la la". Oikotimes.com described it an article like this: "The song has some modern sounds, very similar to those of Alizee." I agree. Here it is, it is sung in Russian along with an English version. 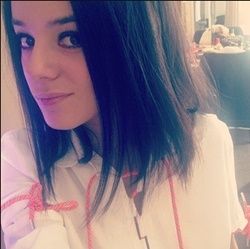 I know we hope to see Alizee soon in Les Enfoires. With Les Enfoires 2009 just around the corner, it would be a good time to take a look at what Les Enfoires is. First, 'Les Enfoires' is French for 'The Dumbasses'. So from the title of this post to here I said dumbasses 5 times. Short version, money raised by the concerts records are donated to Les Restos du Cœur. Les Restos du Cœur donates food and hot meals to the needy. It is a good cause and I did not want it to be overlooked. 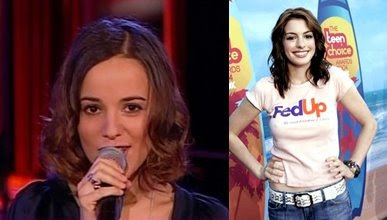 A previous post shows Alizee in 2008 and 2002. In the 2008 clip Alizee is just cute and adorable and at the end where she is scooped up and then later put down and everyone is just laughing and having fun...precious. Jeremy updated his site on New Years Day. Do you think it was staff working on New Years Day or Jeremy himself? UPDATE: This gentleman has take down his video. It was just him carrying a sign that he was a fan of Alizee. So what's in store for 2009? Who knows? I truly expect more of the same. If you prepare yourself for that and then something unexpectedly breaks you are pleasantly surprised. I do understand how everyone feels. 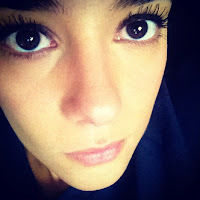 We all can not get enough of Alizee. After reading forums and articles I feel everyone would be happy with information. It is not required, not owed us but it sure would be cool. That gets me to thinking. I do not think we will ever hear Alizee speak badly of someone or a company. It is not the Corsican nature. They do not rat people out. If you never grew up with that it is hard to understand. You need to have older family members say to you 'who wants to know' or 'are you writing a book' to understand that type of thinking. But why would an entertainer not make fans aware of her appearances? It may not be because she really does not want to or not because of us, the 99.9% of her fans but because of the .1%. It is just too unusual for me to criticize it. That is just me thinking out loud. I will continue to post, publishing various thoughts and opinions and whatever news comes along. We do have Les Enfoires right here right now. I really enjoyed last years appearances, lets hope for more of the same. I will continue to read the forums. 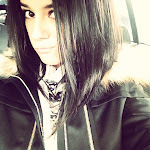 Everyone there is starving for Alizee. They can be fun to read. After a period of time I have some, shall we say favorites. Ruroshen has a mature, logical angle on his posts which is often needed. Then there is another, I will be quickly be blowing through posts and I stop and say who wrote that? Over and over it is Rocket. I just did it today, that is why it is on my mind. So I hope you all continue to do what you do. As far as Myspace and the official website is concerned...I did a post on Shenna Easton back in June. Shenna, an 80's star, just comes out and says they are not doing that and here is my simple website. Upcoming events are listed with not a lot of extras. Stop giving "fans" something to complain about. What do I need to do or change?